Be-Barefoot: Emotions Run High in Animals too. Emotions Run High in Animals too. Oh we have fun out on the farm, sometimes emotions run high and it's gets kind of scary. 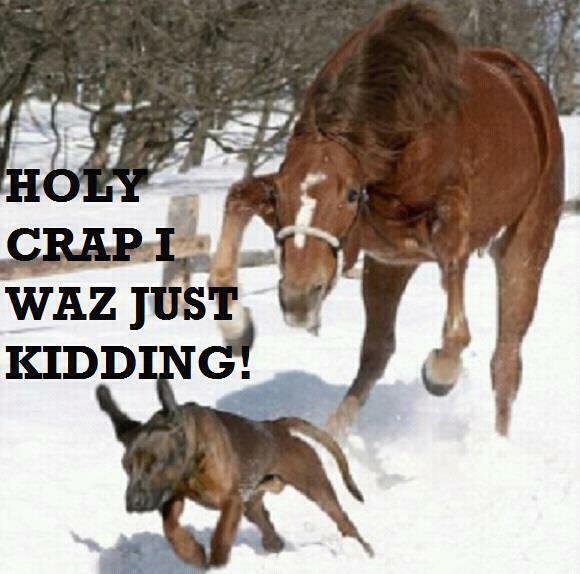 This image reminds me of a scene our Mules and Mastiff pup go though often. You would think the pup would learn his lesson and leave the mules alone.